One of the grandest wooden bridges in our extensive range. 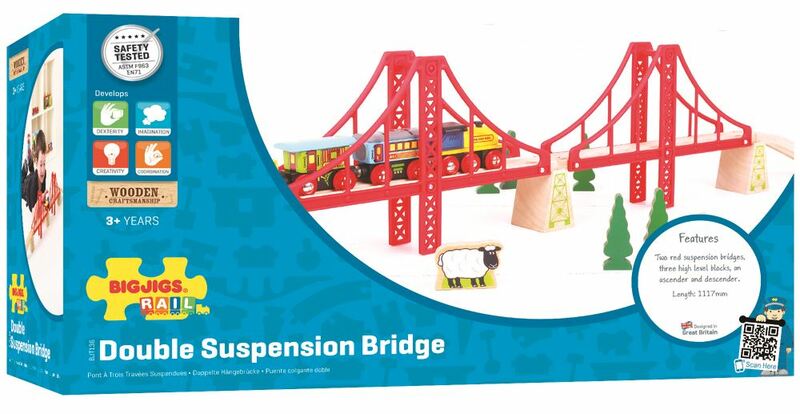 The Double Suspension Bridge will bring a touch of glamour to every Bigjigs wooden railway network. Includes: 2 red suspension bridges, 3 high level wooden supports, ascender track and descender track. Age 3+ years. Compatible with most other wooden railway brands. Distributed in New Zealand by Holdson.